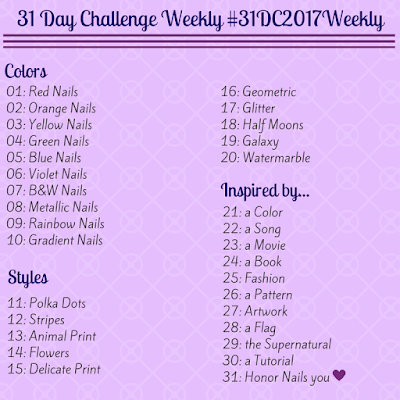 Join me for a weekly nail art challenge! 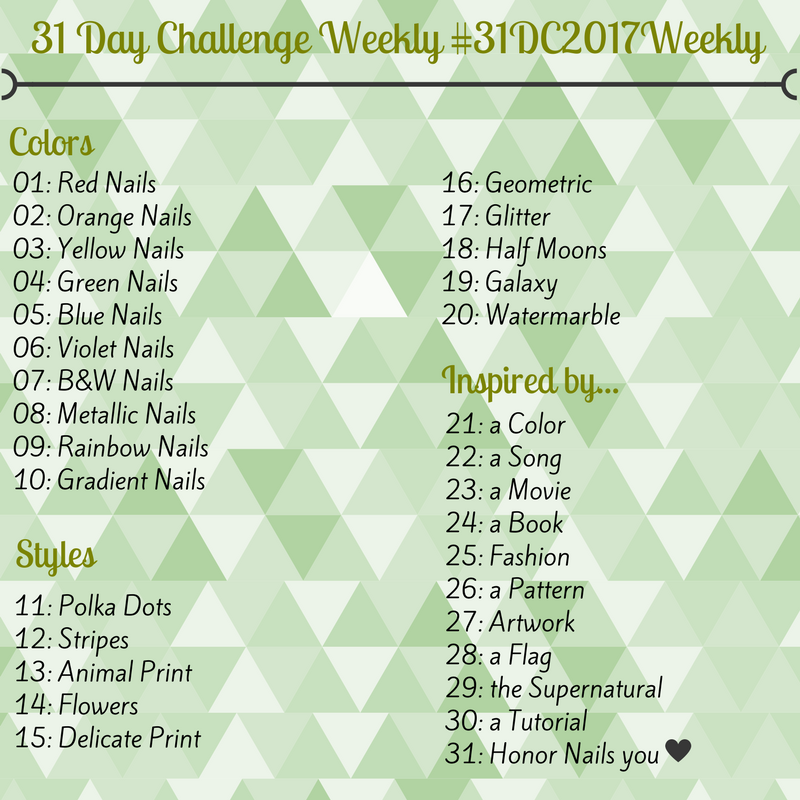 #31DC2017Weekly - Polish Etc. It's that time of year again! 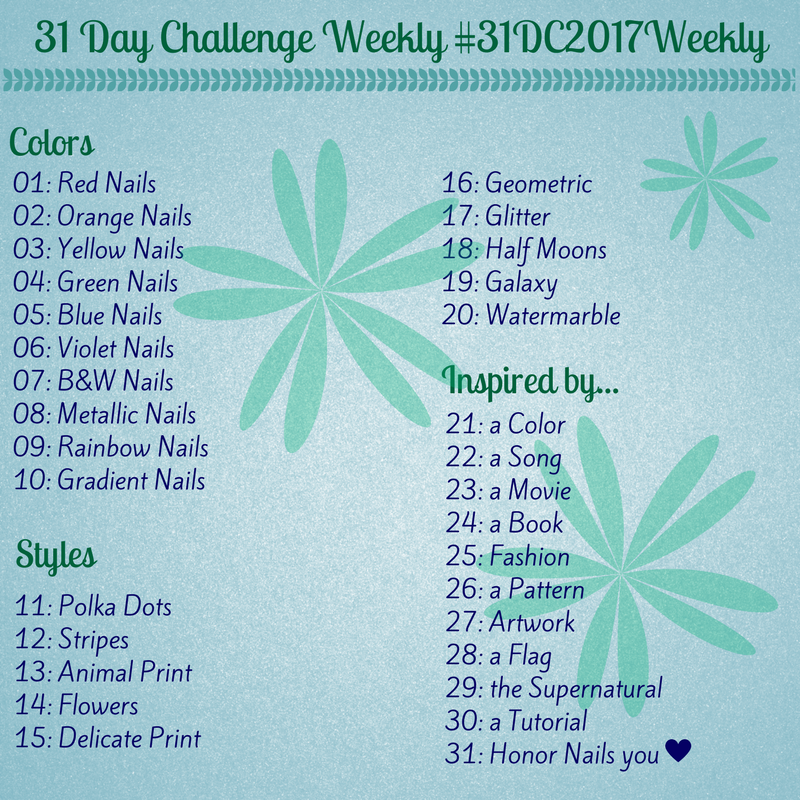 Last year, I decided to change the 31 Day Nail Art Challenge into a weekly version to make is easier for me to complete. It turned out great. 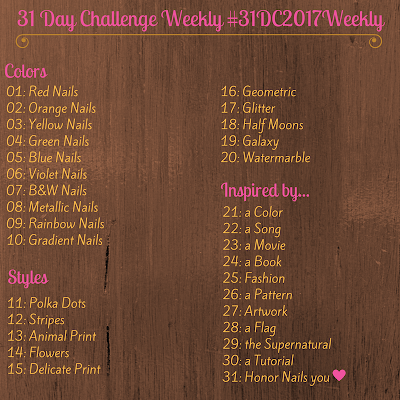 I was able to get all of the challenge prompts done and was still able to share other content with you all. Since last year's was a success, I wanted to continue with the weekly version this year, too. Traditionally, the 31 Day Nail Art Challenge starts on September 1st and ends on October 1st. 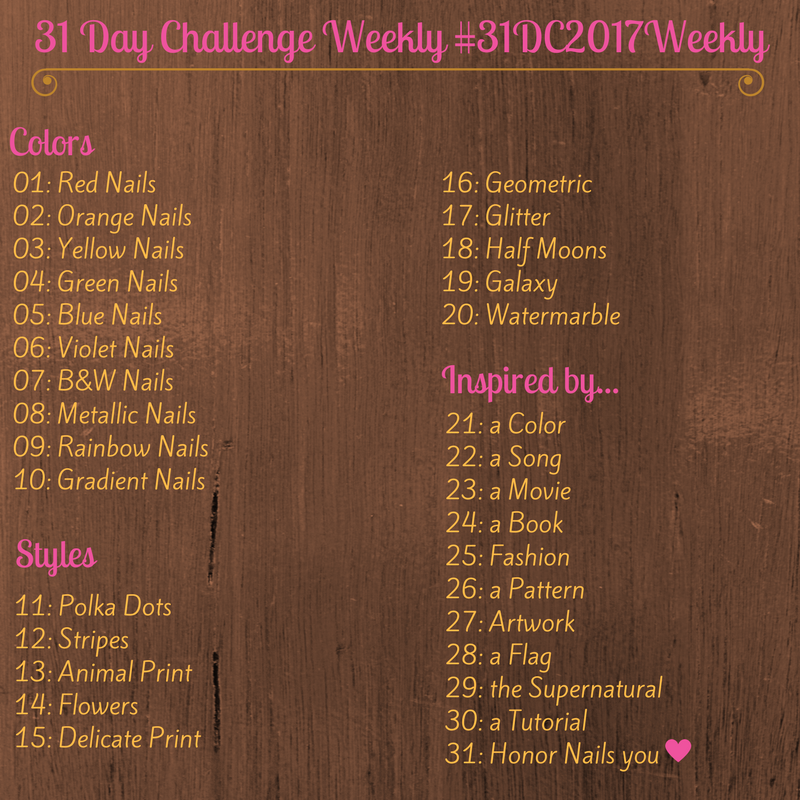 I am going to start the weekly version of the challenge on March 5th. 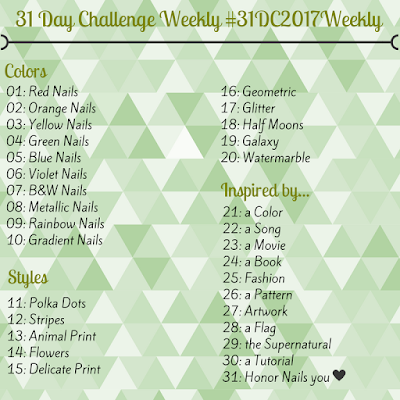 This will have it end on October first right when the daily challenge will end. 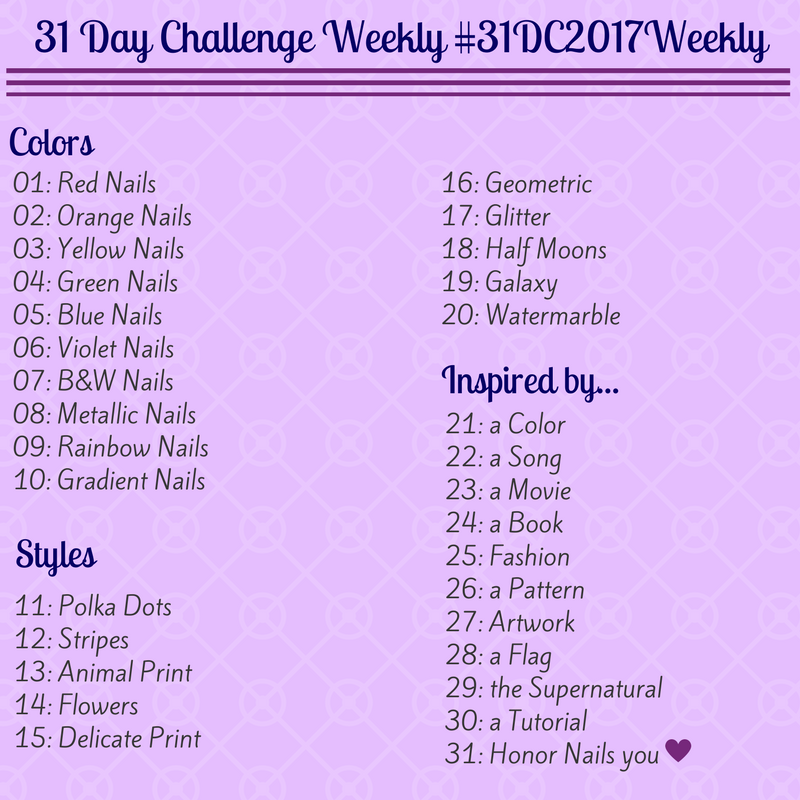 I will be posting each Sunday with a new nail art look following the traditional prompts. 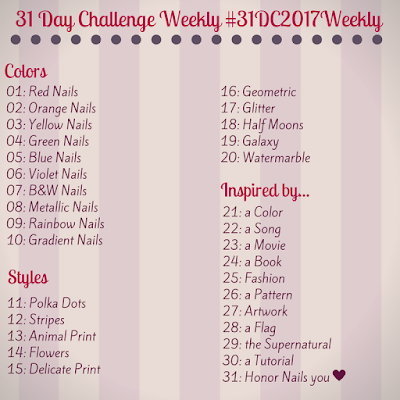 Since this is a weekly challenge, you can post at anytime during the week that you want. If you fall behind, it will be very easy to catch up since it will be going on for so long. You can post on your blog, on your IG, on your Twitter or on your Facebook. You can post anywhere! 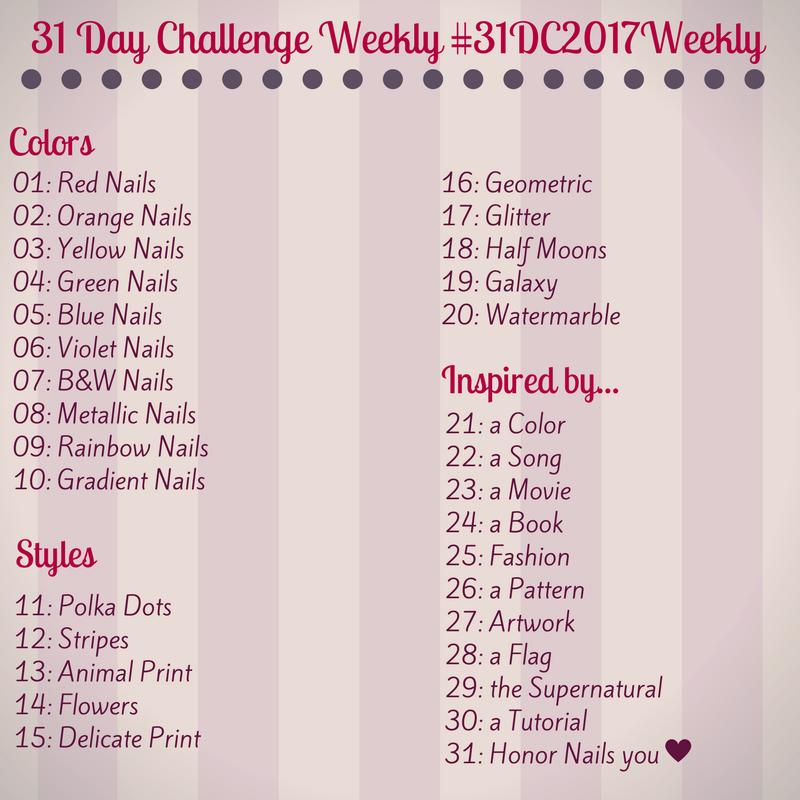 Just use the tag #31DC2017Weekly so we will all be able to see your lovely nail art looks. Here are the prompts we will be following. I have made a few graphics that you are free to use on your blog/IG/Twitter/FB as you wish. I can't wait to see what everyone comes up with this year! Ready to get started on Sunday!